Spacious and well furnished rooms offering modern amenities for a comfortable and pleasant stay. Plaza Suites Hotel is centrally located in Kochi near the Padamugal Junction and offers comfort at a pocket-friendly price. This property is an ideal for any business visit. 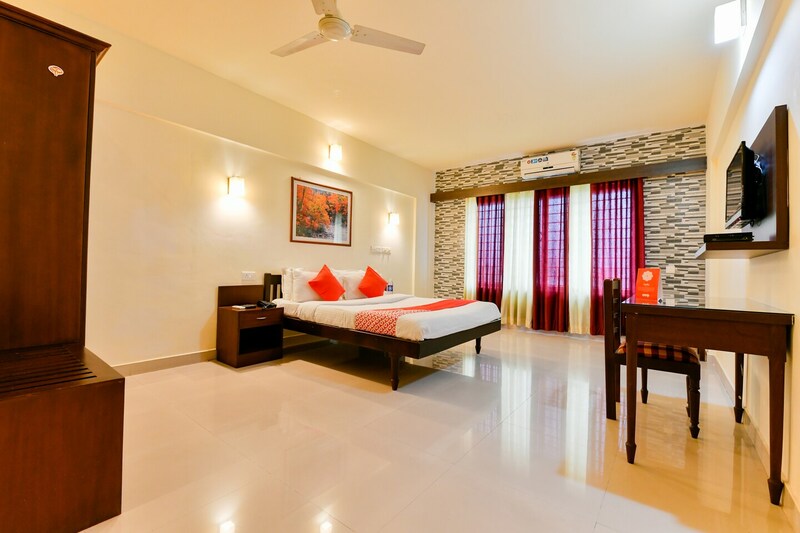 With modern wooden furniture, provision of various basic amenities and natural light streaming in from the huge windows, the rooms here ensure a pleasant stay. Modern artwork adorn the wall adding glow to the overall decor of the room. Seating area is also well-designed space for guests to relax after a tiring day. Free Wi-Fi service is also offered here to stay connected with social media. Parking facility is available too for the convenience of travellers. CCTV cameras are also installed on all the floors and premises of the hotel ensuring safety of your stay.